Samsung has announced the release of a 4 TB 850 PRO SSD for January 2017. Samsung has announced the release of a 4TB version of the 850 PRO line of SSDs for CES 2017 in early January. The 850 PRO lineup currently includes 128 GB, 256 GB, 512 GB, 1 TB, 2 TB models, but lacks a 4 TB option. The 850 EVO has had a 4 TB option since July of this year. While the 850 EVO and PRO models are both NAND SSDs, there are technological differences between the EVO and PRO lineups that are responsible for the PRO being a later release. The fewer bits per NAND cell, the faster and more reliable the SSD overall—the fastest and most expensive SSDs are SLC, or "single level cell". Samsung's PRO line uses MLC, or "multi level cells" which have 2 bits per cell. In comparison, the EVO line uses TLC or "three level cells" which have 3 bits per cell. The result is that the 850 PRO should have 2-3 times the endurance of the 850 EVO. 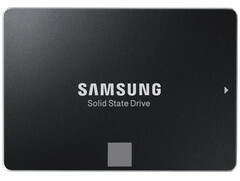 Samsung hasn't released pricing details for the new drive, but the 4 TB 850 EVO sells for US$1499 on Samsung's website. The PRO line typically sells for 20% more than the EVO, so you can expect to shell out around US$1800 for the 4 TB 850 pro. That's a hefty price to pay for 4 TB of SSD storage, but it does get you a 5-year warranty.